So I've got two 3S 2200Mah packs (Zippy and a Turnigy)....one is great and does well, the other not so much. And honestly both, have not had a lot of use. The Turnigy is the one that does not perform well and I think it's been like that since I got the battery...but I just didn't really notice it until later. I honestly don't recall issues in charging it, but the issue is always in discharging or when I put the battery at storage level charge. See at one point I had all my batteries at storage level charge. Some months later I went back and checked em all again and ran the storage charge cycle again. Most all of them took seconds to maybe a minute or 2 to accomplish. This Turnigy 2200 took almost an hour. I had heard of internal resistance but don't know a whole lot about it. 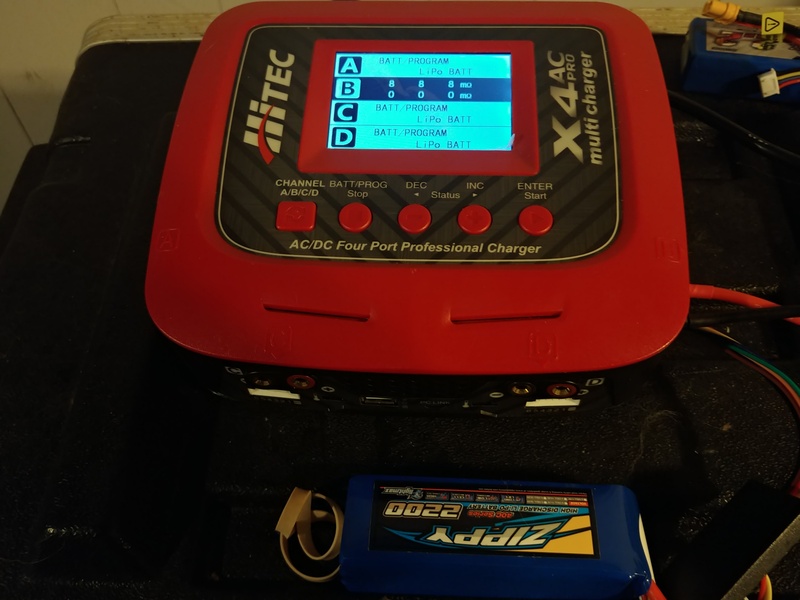 So I ran the resistance test on my 2200 batteries just to see what results I would get. I attached images of both the Turngy and Zippy results below and there is an obvious difference. So what does this mean? Can something like this be corrected/fixed with use? Should I just discharge and trash the battery? Appearance wise the battery looks fine...no puffiness or anything. Yup, that's a Turnigy battery all right. They are pretty crappy. Ideally, IR should be below 10 and close to the same for each cell. The higher the IR, the harder it is for the battery to charge/discharge smoothly, and the more heat it'll generate. 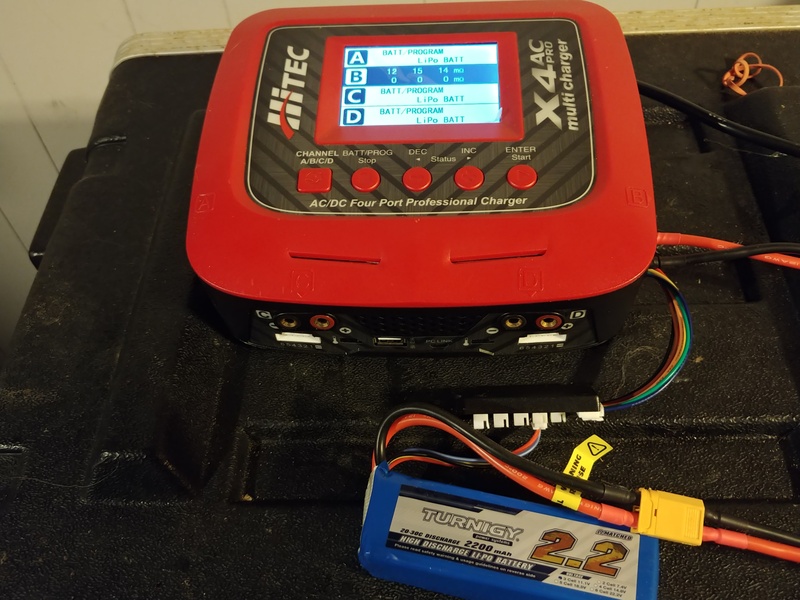 The larger the variance between cells, the more difficult it is for the charger to balance and it's also more likely to come down with cells at different voltages. There is no fix, just use it until it bugs you or it starts getting a little puffy. Once ready to toss, discharge completely with a resistive load such as an automotive light bulb and it's safe to toss in trash or take to local hazmat center. Thanks for the reply Fyathyrio...that helps A LOT!! For some reason I thought originally that all my batteries were Turnigy and that Zippy was a sub-brand of Turnigy, but it looks like they are separate companies. That's why I thought it was weird that this one was bad. Oh well. I will say though my Zippy batteries have been great. I even sold two Zippy 3S 5000Mah lipos that were great batteries. So are most Turnigy batteries crap then or just hit or miss? I will probably just use this one until I get tired of it or starts to look rough. In the mean time, maybe I can pick up a better one to replace it. I use a lot of the Turnigy brand of batteries and have found that they are extremely temperature sensitive. When they are stored they can slowly self discharge and develop a series of other issues including increasing IR. Actually all brands do the same but the Turnigy brand just seem to degrade quickest. Having said that I keep my batteries refrigerated and even store them charged. They are refrigerated before being charged, whilst stored, and after each flying day before being recharged. I have a number of the batteries that are 18 months old now and whilst showing a little degradation are still in use and reliable. I keep mine stored in an ammo can. I had thought of putting em in the fridge. I always keep mine on a storage level charge when not in use. Now that I think about it...I have a Turnigy 800Mah 3S that has been great. No issues whatsoever. Ammo can + high pressure battery reaction = bomb, drill some holes in it to vent gas on off chance a battery does go off. Oh, good idea ...does the size of the hole matter or how many? Maybe 1 or 2 on each side or something? You can check youtube vids to see how energetic the reaction can be, but keep in mind that those are aften staged to some extent by overcharging the cells, etc. A couple half inch or so holes will likely be enough. Make sure the holes are deburred well so that they don't puncture the foil pack.